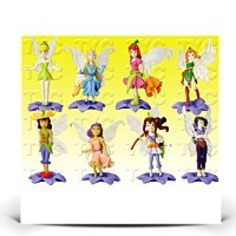 8 fairies inside the set. For age 3 and up. 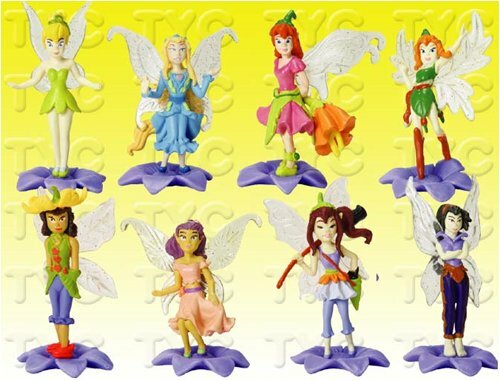 Fairies included: Tinker Bell, Vidia, Fira, Bess, Prilla, Beck, Rani, and Lily.